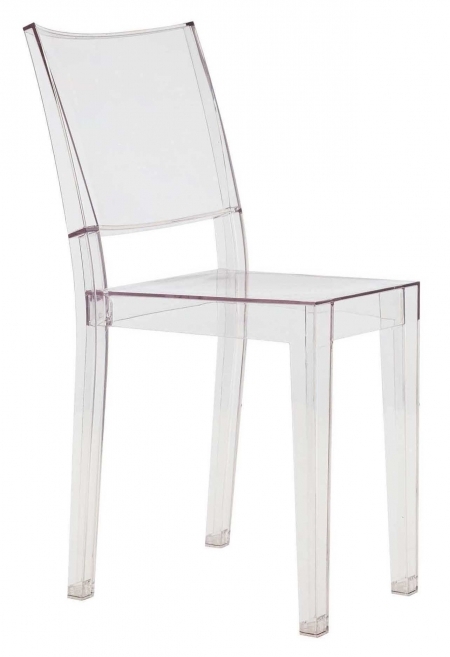 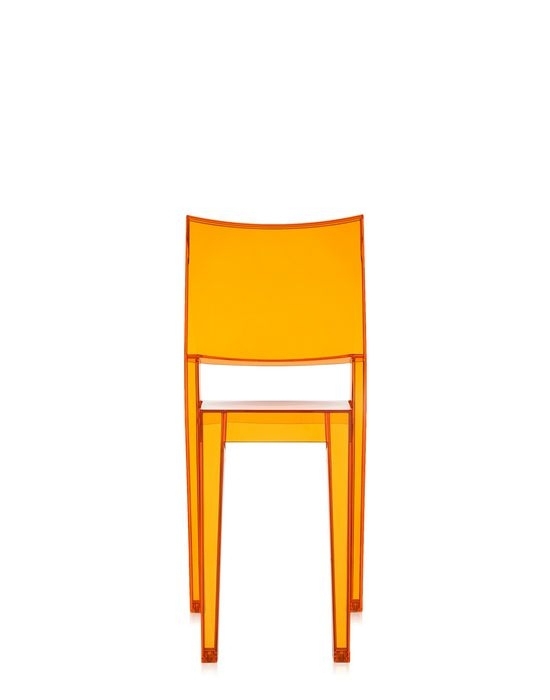 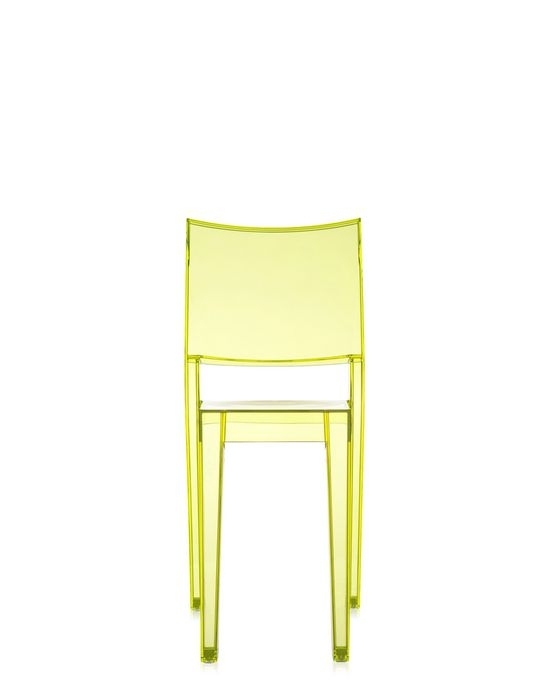 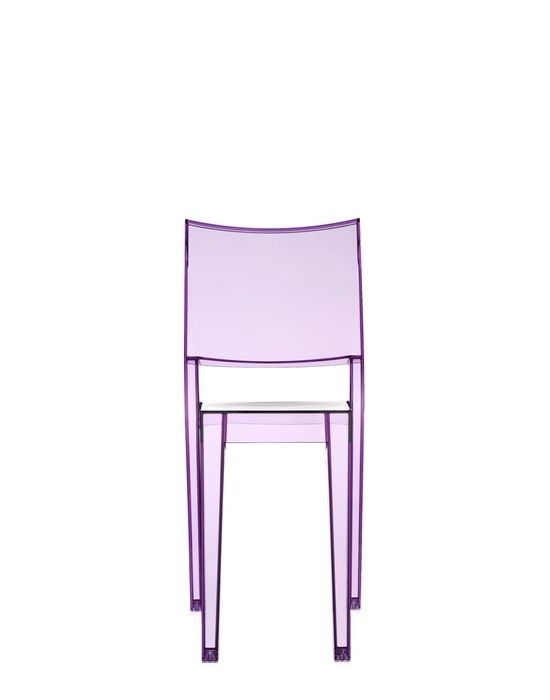 The first chair in the world completely transparent polycarbonate in a single mold. 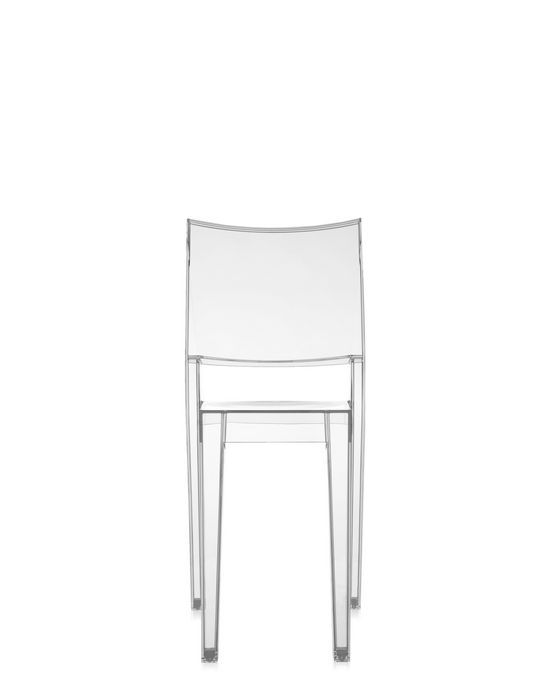 La Marie combines an essential design with an exceptionally robust structure, the lightness and intangibility of its image. 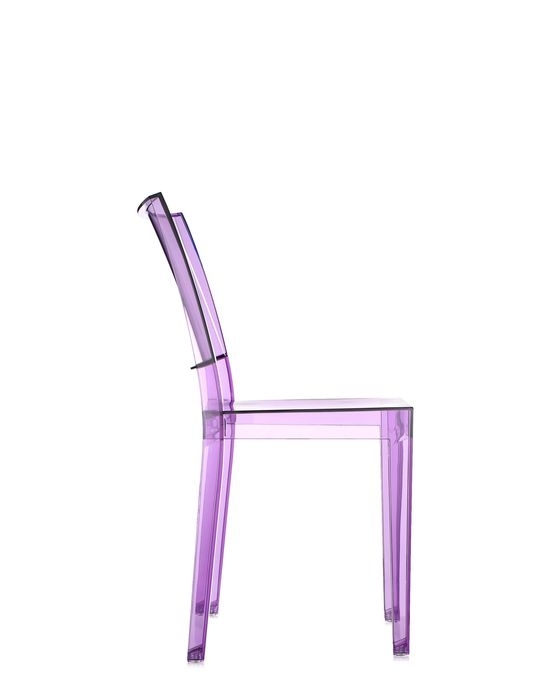 An ingenious combination of lightness and strength, the result of careful and meticulous research on the material, impact-resistant polycarbonate. 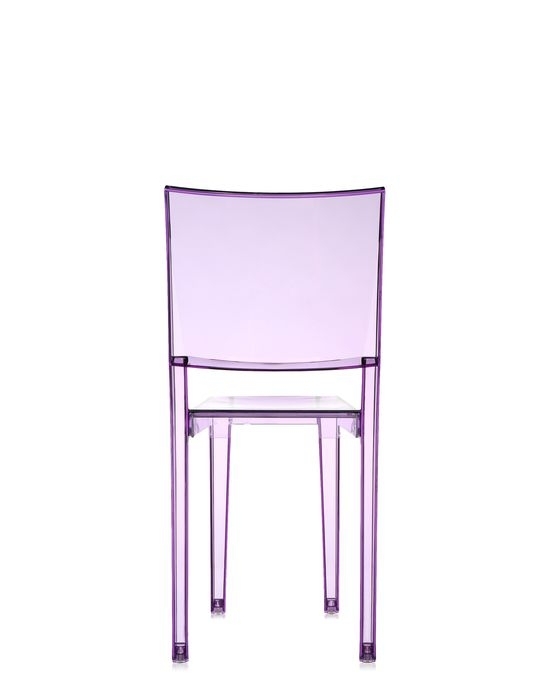 In addition to the crystal version, La Marie is available in the three fluorescent colors: violet, light yellow and light orange.